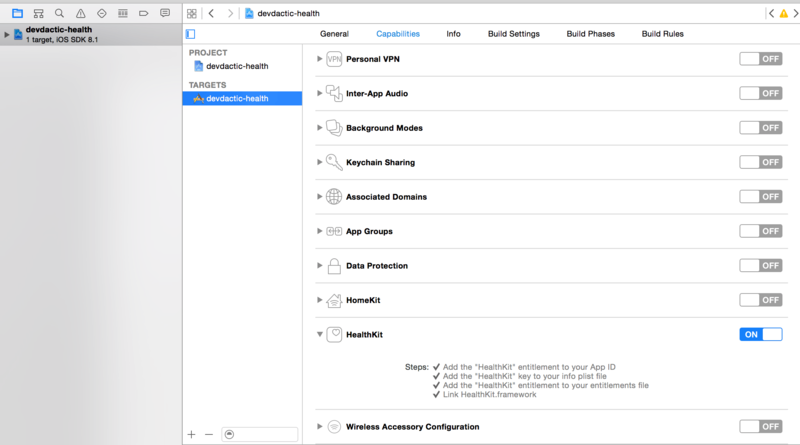 Since the release of the iOS 8 SDK, developers have access to the HealthKit App and its services. Through this service you can read and write body data like weight, height or store a complete sports workout session. To implement this feature in your Ionic app, you can make use of the ngCordova wrapper for cordova plugins, and that’s what I will show you today. We will make a simple App to write some general data and to submit a complete workout to the Health app, which will then be displayed inside the standard iOS app. This tutorial will not work on Android, as there is no such thing (or official app) like the Apple Health app. Next we need to add the ngCordova source to our index.html. Make sure to add this line before the cordova.js import! Nothing special, just a field for the height and some buttons to perform our actions, and the controller assigned to our body which we will soon create. First we check if HealthKit is available, and if that’s fine we request read and write permissions for the height of our user. At this point you could save a flag for further actions so you know everything is set up correct. Setting the height is just a basic example, there are more things you can set so take a look at the ngCordova Healthkit documentation. To save a workout, we must define an object with some properties. Most important, we must select the Activity Type and the Quantity Type of our session. For more activities take a look at the Apple documentation about Workout activity types. Additional we have to set the starting and endpoint (or duration), the burned energy and unit, and finally the distance and unit of the distance. We use some hardcoded values here, if you plan to make a fitness app you should obviously get the data from a real workout session of the user. You are now ready to make the next killer sports app! 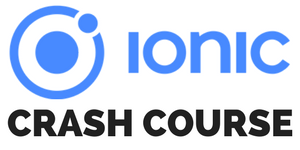 We have implemented a simple ionic App with HealthKit functionality by the help of ngCordova, which can save and get personal body information and store a complete workout session with specific information regarding sports type, duration or distance. Have you ever made an app with HealthKit for sports? Maybe even with accessing data from a bluetooth connected device? Let me know and share your knowledge below! If this tutorial was helpful, follow me on twitter @schlimmson and leave a comment/ tweet it! Watch a video version of this article below.